20 Pairs Jingles; Double row jingles for bright sound. Easy playing tambourines for any percussion need. Easy grip handle -Half moon tambourine: Jingles hand held percussion. Bright sound -20 Pairs Jingles; Double row jingles for bright sound. Size and color as picture shown. 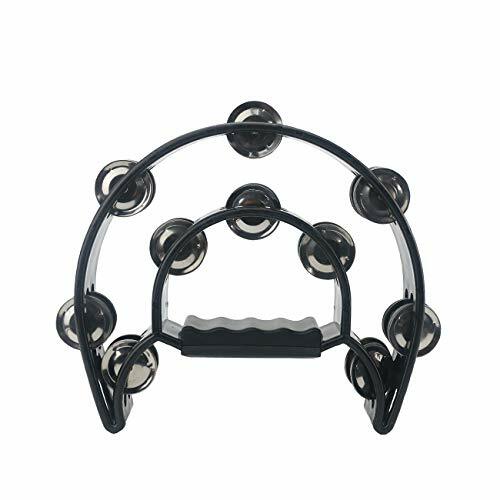 The package includes: 1x double row tambourine.